Compassion - at Harvard Business School!? Because I got an unexpected email from my father. Until he responded to the email about the launch of Compassion Teacher Training in March. “The CEO had them made,” my dad said, “after he heard feedback from employees that while Cleveland Clinic was a great hospital, many of its employees were distant from the patients and did not show empathy towards them." Compassion has become a thing at one of the most respected hospitals in the country... and Harvard Business School. CEOs used to focus on driving numbers on a spreadsheet. Now, in 2018, compassion is required, too. It's a sign... that compassion is more important than ever. It’s KEY to the success of CEOs, founders, coaches and non-profit leaders. Anyone interacting with people, boards, investors, clients, employees. Compassion makes us better at business. And better at relationships, at work, and at home. Today as I write you, after a weekend with my family at a health conference in Utah, I feel more passionate than ever about our Compassion Teacher Training program, the first course of its kind that I know of in the country. I encourage you to apply today, so you can learn the latest on neuroscience, Buddhist wisdom, and the brain, and learn how, in JUST THREE MONTHS, you can re-wire your mind for compassion, and teach others about compassion too. If you’ve already been accepted, click here to register. Founders and CEOs, executives in business or start-ups, coaches and therapists, yoga teachers and aspiring yogis, creatives who want to better understand their clients, and people in non-profits, government, and NGOs who want to better understand their boards, donors, and customers. This is also for you if you want to deepen your meditation practice... or become a certified teacher. Or if you simply seek more compassionate relationships in your life. In 2018, compassion is not a woo-woo thing. I’m increasingly convinced it is essential to leadership, to partnerships, to retaining employees, and more. I can’t wait to hear the benefits you experience if you join us. Compassion Teacher Training: Applications Now Open! And a shift in my thinking. I wasn’t sure I wanted to run a course ..
That certifies people .. to teach compassion meditation. YES it is a powerful type of meditation .. the technique the Dalai Lama says is MOST IMPORTANT today .. and what I practice each day myself. It has changed me. I’m more patient now. I see the best in people, and I’m more open. But could we run an entire program on this? I wasn’t sure. And then Dr. Joe Loizzo, who leads our teacher trainings, sent an outline of the program. And I thought, we have to do this. It is easy to be hard on ourselves. We think we’re not good looking enough, we don’t work hard enough or we work too hard, we worry we should be in a better relationship, a better apartment or .. it never ends. When we’re hard on ourselves, we often become hard on others. Maybe we’re impatient with the green juice guy ..
Or maybe our relationships at home .. or work .. aren’t as easy as we would like. Perhaps being brittle with ourselves can make us brittle, even, with friends. We see tough things on the news, in our city, and in our families. And then we become tough. In good and sometimes not-so-good ways, too. What is the answer here? Compassion. Compassion makes us easier on ourselves. And softer on others. It makes us kinder and more understanding of ourselves and our colleagues, the coffee guy and everyone in our lives. It is one thing to work on this ourselves. That’s huge. But what if you could TEACH compassion to others? Many say you learn by teaching. I believe this. Never did I experience compassion more strongly than when I began guiding compassion meditations. And then teaching others. I feel emotional about this program because it will change lives. Your life will change if you join, and the lives of your loved ones will change too. And when you begin TEACHING this… you will spread kindness and compassion to hundreds and eventually thousands of people, through the ripple effects of compassion. I’m starting to tear up as I write because I could not be more passionate about this course and what it will do for everyone who joins us .. and what it will do for our city .. and beyond. particular is readily trainable and quickly alters the way the brain responds to emotional stress." Wow. You can change how you respond to stress, and you can teach others to retrain their minds, too. So here’s the deal. The course starts March 10th and runs through early June. The schedule, and all the details, are here. Everyone who graduates from the program will be certified to teachcompassion meditation. And this 100-hour course is compatible with Yoga Alliance. We’re limiting class size to 26, and we will sell out. We have sold out every teacher training program we have ever run. This program is a gift to yourself. And a gift to your family and colleagues and friends. But really, in this day and age when compassion is so needed, this is a gift to your city and your country. May we spread compassion. Together. I cannot think of anything more important today. p.s. YES there are only 16 spots open for this program. Click here today to apply. p.p.s. Dr. Joe's course description, the one that made me cry, is on the site for the course here. 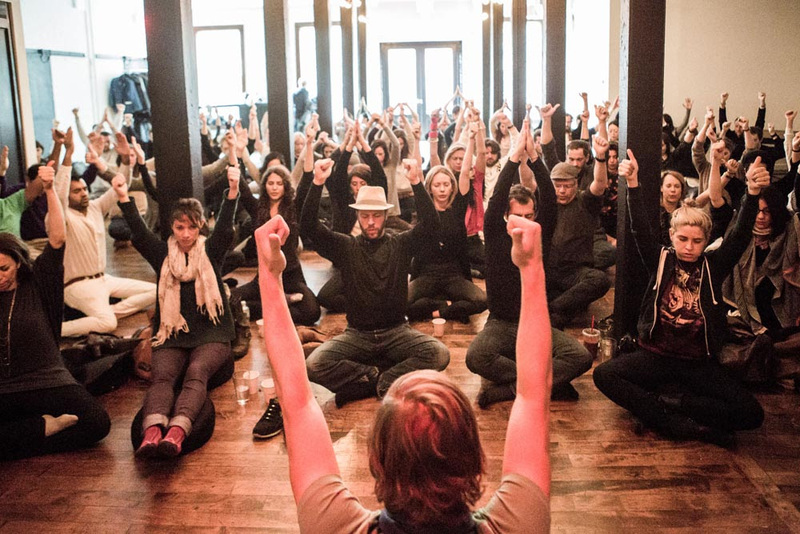 Announcing : Compassion Teacher Training! A LOT of people have emailed asking about our next teacher training program. 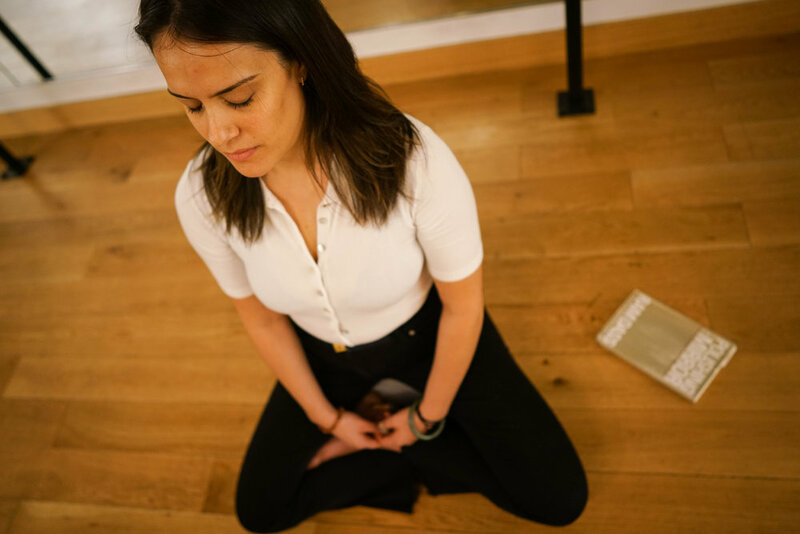 Our teacher trainings are extraordinary, not just if you want to teach..
Add meditation to what you do already ..
Or simply to join an incredible, supportive community of men and women going further down their path of meditation. So I am THRILLED to share we are hosting our first-ever Compassion TeacherTraining program this spring. Everyone who graduates will be certified to teach meditation. And we're focusing on compassion .. because THIS is what the world needs now. Compassion (also known as loving-kindness or metta) is the style of meditation the Dalai Lama says is the most important. We agree. We'll open the doors for applications next week .. but we have only 25 spots in the program, and we will give priority to everyone who emails us early (i.e. this week!) to say they're interested. The program runs March - June and will be led by Dr. Joe Loizzo, a Harvard-training psychiatrist and Columbia-trained Buddhist scholar. If so please reply to this email, and we'll start a conversation .. about how you can join an extraordinary program to expand and share compassion .. with yourself and everyone in your world. Again please respond to this email if you're interested in joining us, and we'll share all the details next week. A particular tone befits the halfway point of just about any group undertaking. There’s no more of the “getting to know you” dance. People surprise you, you surprise yourself. Familiarity creeps into the equation: familiarity with the space, the vocal inflections of your companions, etc. It’s a bit like a warm hug, one that also comes with an uptick in responsibility. At this point in our meditation teacher training with Nalanda Institute for Contemplative Science, The Path, and Pure Yoga, everyone has already become a teacher. Through teach back assignments, each student has taught a meditation to a small group in the class, as well as recorded a virtual meditation. This exercise creates a beautiful shift in our sense of agency. Many of us, myself included, have already taught in other settings. But something about taking on that role within the container of our class adds another layer to the space we’ve created. And that space is one of empowerment. The student - teacher dynamic has always fascinated me. There can be a tendency to place your teachers on a pedestal. Sometimes people revere or even fall in love with their teachers, not realizing it’s an ideal they’ve created. The teacher is human, the teacher is a lot like the student, likely having experienced many of the same foibles as the student, but having learned from them (hopefully). The student might think the teacher is perfect, unaware of the path that brought that teacher to their initial desire to teach. We’ve all taught now and received feedback from one another. It’s been one of the most rewarding experiences of my life, to have highly conscious, intelligent peers reviewing my work. Some slip into the role seamlessly. Others are afraid, but teach with more finesse than they realize. It’s a fascinating process. When someone steps into the role and does a good job, it gives me confidence as well, because you see the work that happened during rehearsal, not just the performance. Written reflections on our teach backs have also brought my teaching to a new level. Though I’d taught before, I’d never been assigned a reason to write about my experience as a teacher. Sure, I’ve thought about it a lot (re: too much), but putting pen to paper opens you up to a new level of self-discovery. We’ve made progress, but there’s also a sense that there’s so much more to learn. And I can’t wait. I’ll never forget the first time I “got” meditation. It was a startling realization that took place during an impulse-driven visit to an ashram upstate. Despite almost a decade of practicing yoga, experimenting with my perception, and a couple of college classes on Buddhism, I always assumed meditation was something I’d never get. Having been accused of living “in my head” my entire life, I found the whole concept daunting. Thanks to some magic combination of the teacher, setting, and guidance, it happened. I recall being guided to focus on my breath and posture, then more or less “came to” after the practice. A spark of insight revealed patterns about my inner world that understood intellectually hadn't experienced with such clarity. The contents of my mind could be looked at as something of a pie chart: 40% was spent mentally reviewing past instances, another 35% imagining future scenarios and all the various (often anxiety-ridden) ways these might play out, and the rest was probably focused on snacks… and other stuff that’s pretty low on Maslow’s Hierarchy of needs. The power of meditation began trickling into every aspect of my life. It reached the point where I knew I had to start sharing the practice. I guided friends casually, but there was a bit of “you’ll never actually teach” chatter in my head. I quickly discarded those thoughts and signed up for meditation teacher training with Nalanda Institute for Contemplative Science, The Path, and Pure Yoga. From the opening retreat day to our upcoming third class I’ve felt a bit like the nerdy student I was in high school. I look forward to the homework (hint, it involves meditating). Though we’re just two classes into the program at the time of this writing, the results are already startling. A theme that arises is that of experience trumps just about everything. One cannot substitute intellectual knowledge of the practice for an experience. The aforementioned homework, which includes journaling about the experience, has become a ritual in daily self-care. Having accountability to others helps so much in staying disciplined, something we rarely experience outside of professional life in adulthood. Along with decades of teaching experience, our teachers from Nalanda Institute have shown up with such compassion. It sets a palpable vibe in the room, one that boils down to feeling like our class is not only a way to learn, but also a safe space to be vulnerable. 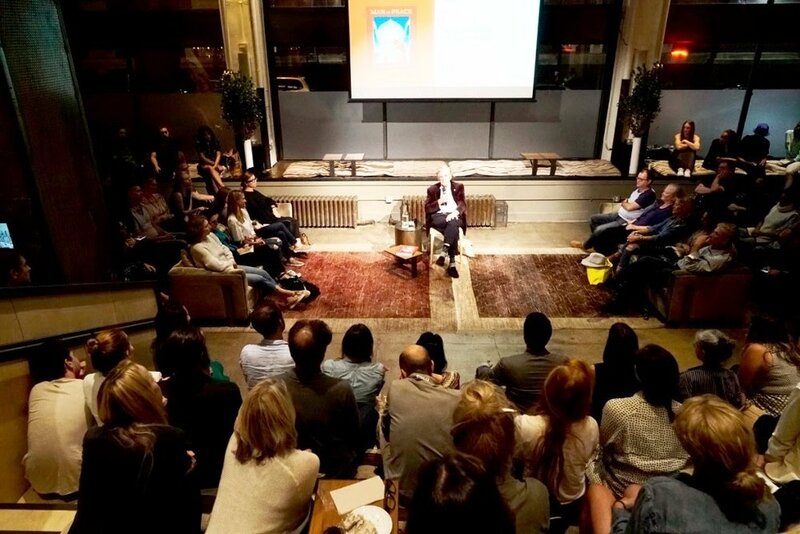 Who would think so many adult New Yorkers would be open to sharing their stories while sitting cross-legged on a floor on the Upper East Side? My practice has already begun to deepen, my heart feels softer, and I’m better at remembering how to return to a perspective influenced by compassion. I personally believe we have the power to shift our perspective in every moment. Teacher training has only reinforced this belief and given me hope that I can share it widely, oh so soon. sit, sake & cider Tuesday! On Tuesday, join us for a lil' gathering. We're hosting a sit, followed by sake and and mulled cider. It's a fall meditation party :). First we'll sit with the extraordinary John Baker, co-founder and teacher at Naropa University in Boulder. John is an author and editor of Buddhist texts and a super-experienced teacher who's led many month-long retreats (don't worry, just 30 minutes Tuesday!). We'll gather at a brand-new spa that just opened in my brownstone in the West Village (I know, what are the chances!?) so you can peak around at the infrarad saunas and more. After the meditation we'll head upstairs to my place, where we'll serve delicious sake (all natural, non-GMO and gluten-free) and make mulled cider, too. We planned a special meditation for you Tuesday. 1. One of my favorite teachers in the country, Bart van Melik, will guide us. Bart just led a retreat with Jack Kornfeld, and one of our team members went and said he was EXTRAORDINARY. Bart was trained at Spirit Rock, sounds uncannily like Jack (really, you'll see ..) and is an exceptional teacher for new & experienced meditators. 2. On Tuesday he'll guide us on .. what is the nature of a wondering mind? What’s the nature of kindness? Our experiences are all natural .. how can we explore our nature? 3. This is our second to last Tuesday sit!! We're *so* excited Bart is leading us. 4. The first five people who arrive Tues will get a cool, very "us" gift. Come early, hang with Bart & us, and enjoy a nice present to take home ;=). After the sit we'll sip coconut water and enjoy social time & our BEAUTIFUL space at The Standard, East Village. p.s. We had our opening retreat for teacher training Saturday, and it was terrific. We're so grateful to our partners at Nalanda Institute, Pure Yoga, and to everyone joining us for the sold-out course! (once a year) teacher training starts soon! Quick note that our once-a-year teacher training program starts in just nine days. We have 3 spots left. If you've thought about becoming a meditation teacher ..
Or adding meditation to what you do now ..
Or simply deepening your practice in a profound way, this program is for you. You can also respond to this note with any questions or see an overview of the course here. This course changes lives. You learn deep Buddhist wisdom, the confidence to teach, and you DRAMATICALLY strengthen your own practice. You also go through the entire process with a warm, supportive group of fellow teacher trainers (everyone in the program comments on how uplifting this is!). Please act quickly and apply today if you're thinking about joining the course! Also, our friends from Wisdom 2.0 are putting on a conference Sunday& Monday called Mindfulness in America. It's co-hosted by Anderson Cooper and includes a special performance by Jewel. They're kindly offering 15% off to all members of The Path community if you use the code "communitypartner15" at checkout. *news* the final Tuesday meditations are this month! We launched The Path with weekly meditations..
We've done them every week, including holidays and snow days (! ), for three years. Now it's time to broaden what we do .. beyond New York .. and beyond the weekly sits. We have AMAZING teachers and special treats to offer you for our weekly meditations in October. And .. this will be our last month of regular weekly meditations. Our last weekly sit will be October 24th (save the date, we'll have an awesome party this night)! We will continue with our meditation teacher training program (the next round starts October 14th, so excited!) and social gatherings, big speakers, retreats and more. But we're adding some new things .. some incredible things .. and want to give ourselves the bandwidth to focus on these too. So all this means .. Tomorrow we're hosting a SUPER special meditation. We're going back to our roots. For the first times in years I'll guide, with the great teacher Jai Sugrim, ALL FOUR major categories of meditation in less than 40 minutes. We'll guide you in energizing, mindfulness, mantra and loving-kindness .. in ONE short sitting. If you're new to meditation, this is the PERFECT sample platter. If you're deep on one type and curious about others, this is a terrific chance to sample new techniques. OR if you're just looking for something fun to do, I guarantee you'll feel AMAZING after this meditation, a well-rounded workout for the mind (people say they feel like they're flying after this meditation!). To sweeten things, we're partnering with Curious Elixirs, a 100% organic alcohol-free craft cocktail. I tried it last week and LOVED it and am SO excited to share this with you Tuesday! We'll be home in our beautiful space at The Standard, East Village. This is an incredible offering. Four types of meditation in one sitting, two teachers, free craft cocktails, yummy ZICO coconut water, and all this for less than $20! Yes we're feeling happy and generous. Tickets are now available to see Robert Thurman speak to The Path community September 19th. He is a scholar, author, co-founder of Tibet House in New York City, personal friend of His Holiness the 14th Dalai Lama, and father of five children including the actress, Uma Thurman. On this special evening, he will talk with us about one of the most important topics of our day: how do we cultivate peacefulness within, while still being activists for good? He'll draw on the lessons of the Dalai Lama, as well as those from his own most recent book, Man of Peace: The Illustrated Life Story of the Dalai Lama of Tibet. We'll have books on sale at the event, and a portion of all proceeds from your ticket will support Tibet House, the non-profit U.S. Cultural Center of the Dalai Lama. A private tea with Thurman an hour before the event begins. Limited to 18 people, this intimate gathering includes a meditation and the opportunity to ask more personal questions. Admission to the entire event is included with this ticket. Or general admission, which includes a talk by Thurman, guided meditation, Q&A, and social time afterward with nibbles, wine and more. And, as always, the chance to mingle with amazing fellow New Yorkers. We'll gather in the beautiful environment of Neuehouse, at 110 east 25th Street. The author during a relaxed moment the evening her computer wouldn't charge! Ohhh I just learned such a lesson. Before writing you, I plugged in my computer .. but the green light indicating the computer is charging .. that green light that ALWAYS goes on .. didn't go on. I tried not to panic. I took a mindful breath. And tried again. Nothing. The red light on the adapter was on, so that worked. The computer cord was brand new. OMG. It was the computer. And I'm on a tiny island off Spain (called Formentera). It was Saturday morning. I thought about what I needed to write that day. A note to you for The Path. Two articles for Forbes. And a book proposal for my agent. I couldn't do any of this on a phone. I needed a working computer. My hotel suggested a computer shop one town away. I hopped on a bus there. It was closed. Someone nearby said the owner hadn't opened the shop for days (this is Spain..). I took a taxi to another town. A woman at the information booth said the computer shop there and everywhere else on the island would be closed the next two days. I asked if I should head to Ibiza, a 45-minute ferry away. She said no, any electronics shop there would be closed all weekend, too. "It's summertime!" she said, looking at me blankly. I headed back to the village where I'm staying. I had no plan. There wasn't even a place I could buy a new computer. Idly, I googled what to do when your computer doesn't charge. There were two suggestions for rebooting your computer in a particular way. I tried them both. And then I went to dinner. I read. I had a relaxing meal and thought of the fun things I could do in Formentera if I wasn't writing all day .. but .. I had to get this done. When I headed to sleep .. I thought .. I'll just keep the computer plugged in all night and maybe, by some miracle, it will start charging. It was 1am. I was exhausted and not stressed. I attached the cord to the computer. And the green light went on! I sat on my bed and laughed and cried at the same time. We have SO much. We have our breath and body. We have clean water and food and clothing. We have cell phones that work and computers that we EXPECT to always charge. If we could spend five minutes each day thinking about ALL the things we take for granted, and not focus on the one or two things we don't have, our hearts would soar with gratitude. For the rest of my life, every time that green light goes on I'll say a prayer of thanks. And all day today, especially as I write you now on a fully charged computer, I feel grateful for you. I'm grateful my fingers can type, I'm grateful I love writing, I'm grateful for my computer, for the English language, for grammar diagrams in 7th grade, and oh I am grateful for so many things I feel overwhelmed as I type these words. And so today I invite you to spend a moment being grateful for the small things. Let gratitude fill your heart with good energy. Then spread this positive energy throughout your day and week. And Tuesday, I'm super grateful that our friends Susan and Juliet from Doing/Living have invited us to host The Path meditation at their brand new beautiful space in midtown. This is so special! Janusz will guide us in a meditation on gratitude .. in this brand new space committed to wellness, art & healthy products. We'll enjoy an expertly guided meditation and then Susan and Juliet will tell us a bit about what they're doing with this cool new space. We hope you can join us! I’m writing you with a relaxed smile from Ubud, the spiritual center of Bali, where I just had a revelation during a meditation. I realized that it’s so easy .. to WANT love. To pine for it. What if we could shift towards feeling .. that we’re SURROUNDED by love. What if we could move towards feeling grateful .. for the love around us now. We have friends near us who message to make plans ..
Friends from out of town who send caring messages .. Many of us have family members who check in to see how we are. We have people in our lives who CARE about us. Profoundly! What if we choose to live in that energy, grateful for the wonderful people in our lives and the positive energy this brings us? This week I invite you to shift from wanting more love .. into a gratefulness for the love you have .. and the amazing people in your life .. who care so much about you. It's a decision .. a freedom .. we have. p.s. We have a GREAT group joining our July social, a dinner party and talk on real love Thursday, July 20th. We’ll be swimming in good energy and good food (thanks Dig Inn!) and will enjoy an inspiring and fun talk by two meditation teachers, Janusz Whelin and Rakhel Shapiro, who just got engaged. And we’re gathering at a STUNNING penthouse in Soho thanks to a member of our community. Click here to join us for our July social this Thursday! p.p.s. YAY this Tuesday we’ll be the PENTHOUSE of The Standard, East Village! Join us for meditation with Pandit Dasa, a former monk in NYC, and to enjoy one of the most spectacular spaces in NYC (selfies allowed before and after meditation!) Click here to join us Tuesday. Quick note that we have an AMAZING group joining for our dinner party & talk on real love next Thursday (the 20th). And if you sign up by Friday at midnight I've got two awesome bonuses for you. Three downloadable meditations .. so you can get your mindfulness and lovingkindness on whenever you want. Listen to them individually .. or together whenever you need a "reset." A free live, in-person meditation with us any Tuesday evening in July or August. 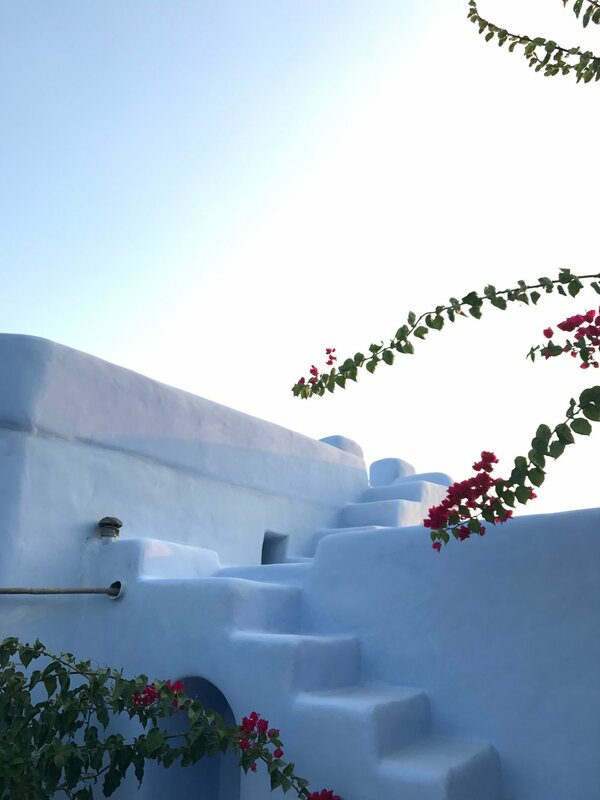 You'll also enjoy a special "early bird" price of just $50 which includes everything above .. and dinner & drinks .. and a talk by two just-got-engaged meditation teachers. And you'll meet great people and luxuriate in a beautiful private home in Soho. p.s. A bunch of people from our Sharon Salzberg retreat celebrating the launch of her new book Real Love are joining .. bit of a reunion .. so you'll be immersed in their good energy. p.p.s. Yes 'luxuriate' is a word - I just checked!